December 2012 update: There’s now a remaster edition available, Here’s some more details on that. 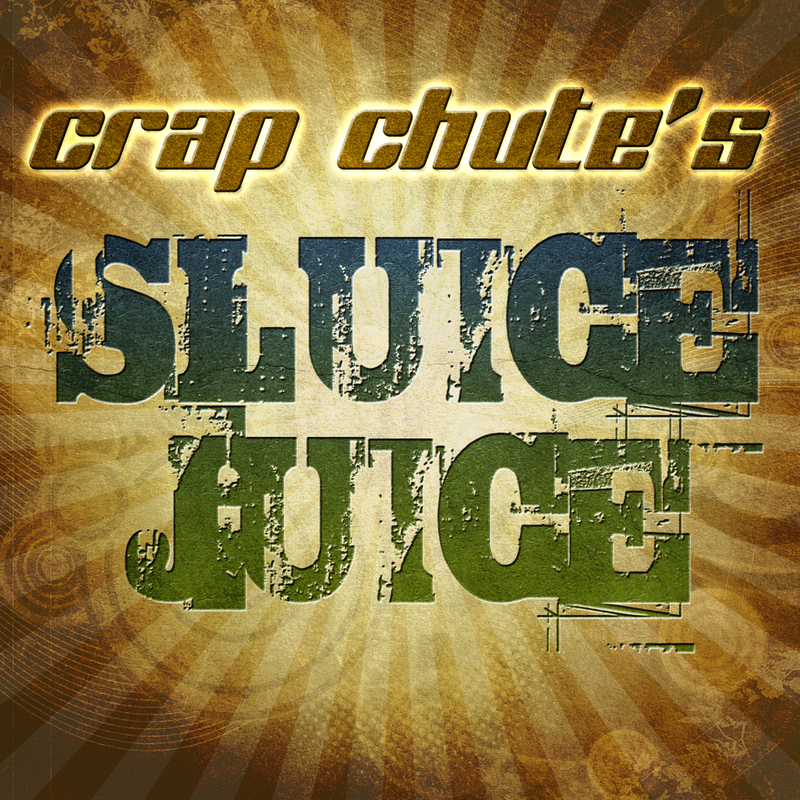 It is with great trepidation that I present to you, 2010’s complete collection known as “Crap Chute’s Sluice Juice” , which if you were observant would have known about since January 2010. The cover art was created specifically for this project by talented artist Ro Karen. You can find more of Karen’s work at http://www.lobablanca.com, which I guarantee is a place far more coherent and articulate than this site. Do yourself a favour and get the 2012 remaster version instead. Yes it’s still free, it’s still CC-BY-SA, you can enter $0 for a price and I won’t be mad. It’s 836 MB. Total running time is about seven hours and nineteen minutes. There’s nothing in this zip that hasn’t already been published, except for the things that haven’t been. If you want to download individual tracks go ahead. Just be aware that you’re still under the conditions to not be a dork. Don’t complain to me. Once again, don’t write to me and complain that it doesn’t play on your Victrola, or your Kinescope, or your Sinclair Spectrum. The MD5 is 8ccccde97d4a8d292d07129f47e764db. Again, if you don’t know what an MD5 is, don’t worry about it. The bit nobody reads: Like I said last year, I could fuss all I want about licensing but I know nobody will read it or follow it. Having said that, if you somehow make money from this you could consider giving some to me, or to Ro Karen, or to your local animal shelter, or your rich uncle’s lawyers. I still reserve the right to come and punch you in the face, regardless. This is under a pretty loose Creative Commons license. If you want to know more read this. I know you won’t. For a limited time, or until my DVD supply run out, if you send me a nice email with your name and address, I will mail you a DVD with everything from 2009-2010 on it. No charge. I may even autograf it. I probably won’t. Hell, I’ll mail it and you’ll probably never get it. Don’t complain to me. I’ll leave the exercise how to email me with a request to you as an intelligence test.